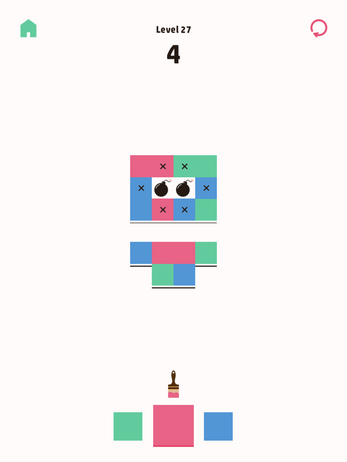 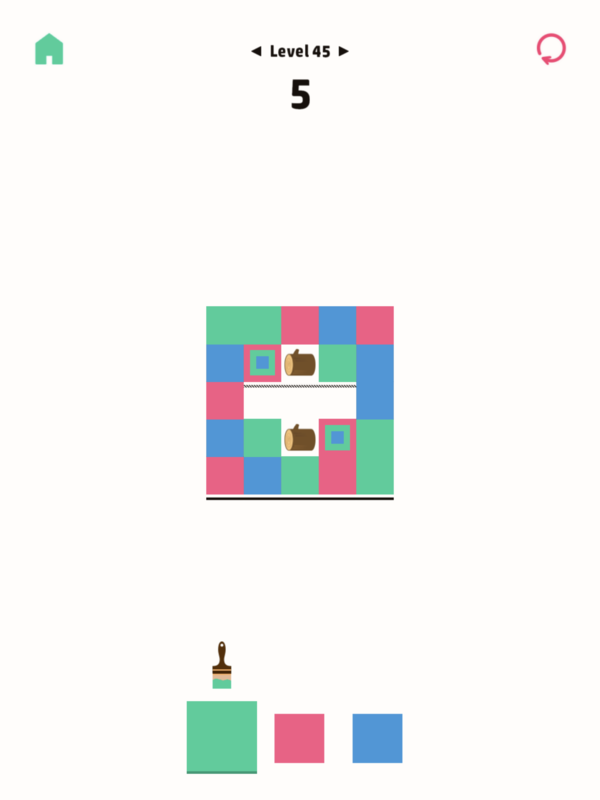 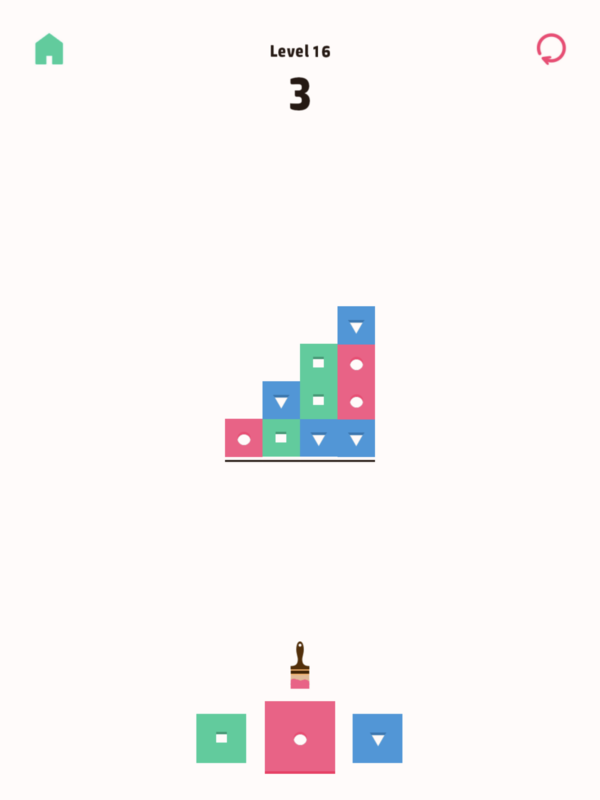 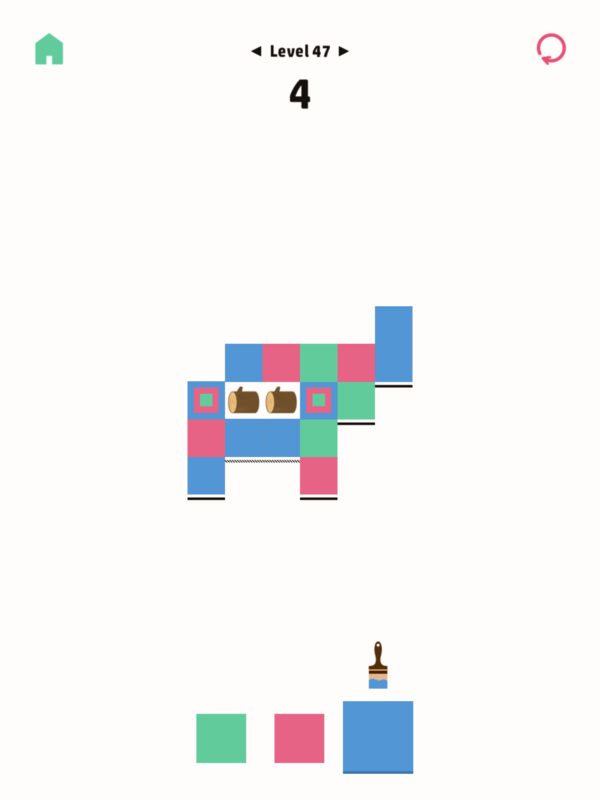 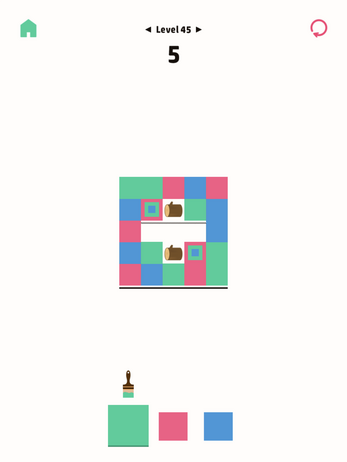 The game starts simple, you are given three colors to paint tiles with. 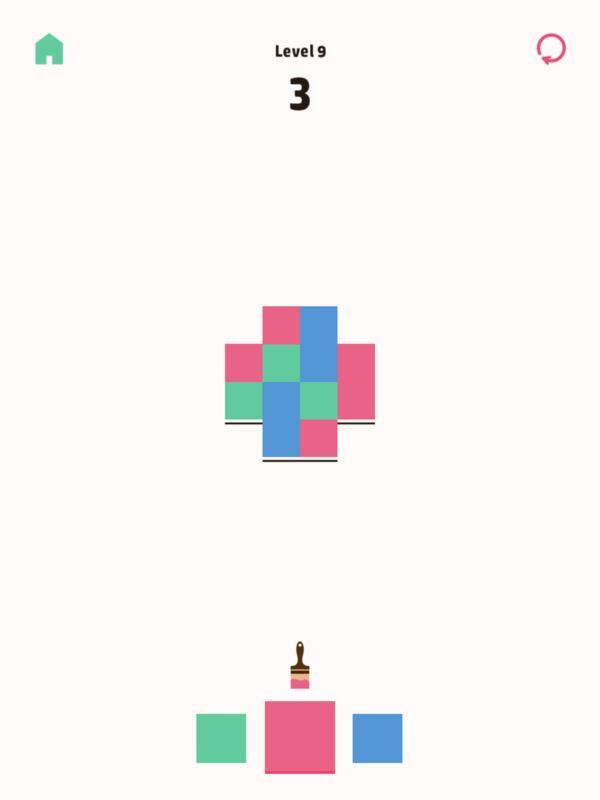 As you gain the skills necessary to solve increasingly challenging puzzles you're faced with new mechanics - dissolving ground, bombs, rainbow tiles, all of which make you think in new and interesting ways. Paintiles is a must for puzzle lovers!